FOR TOURIST TRAVEL WE REGRET WE CANNOT HELP YOU WITH THIS VISA SERVICE, DUE TO A REQUIRED PERSONAL APPEARANCE. Tourist Vista (T): The applicant must present the following documents in person if they are Non U.S. Citizens at the Consular Section or Consulate during open office hours, from Monday to Friday between 9:00am and 1:00pm. US Citizens can overnight or mail directly to the consulate. Will be issued to people who wish to enter the country for recreation, health or activities that do not involve remuneration or profit related to culture, art, science, sports, contact with businesses located in the country or with people in the private or public sector, or journalists for special events This is for a stay not to exceed 90 days (non-extendable) for US Citizens. If traveling by private transportation or by land, a visa is required. It is recommended that non-migrant applicants request their visa no less than three (3) months before the expected travel date. A valid, signed US passport. The passport must have at least 6 months remaining after the completion of your stay in Venezuela and contain at least Two blank visa page. 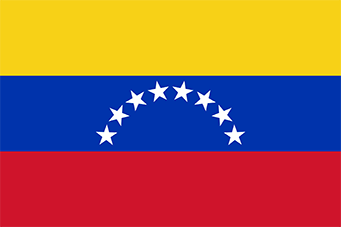 Fully completed and signed Venezuela Visa Application and a requirements Venezula Reqirements Check List in the requested order. One (1) passport photographs recent front-facing photograph with a white background, size 2×2 inches (without glasses or hats). Certification of employment, specifying the following: length of employment, position and salary. Proof of employment issued by the applicant’s place of work, on official letterhead and indicating a contact person and address for verification. Original latest bank statement or a letter issued by the bank which shows the current balance or a notarized letter of invitation of the person or institution in the U.S. or Venezuela who will cover the costs of the applicant’s stay..
For Non-US Citizens, please include a Notarized copy of US Alien Registration Card (Green Card) (Both sides) or Original I-94 card or I-20 & Valid US Visa or document that establishes residency in the country. International Certificate of Vaccination for Yellow Fever Required if arriving from an infected area within 5 Days. For children and adolescents under 18 years of age: They are exempt from having to the Consular Section or Consulate in person. The requirements will be the responsibility of the parents, who must present the documents in person, including the following:a. The child or adolescent’s original passport, with a minimum of six (6) months of validity remaining as of the expected travel date and at least two blank pages. b. A copy of the child or adolescent’s birth certificate. c. One (1) recent front-facing photograph with a white background, size 2×2 inches (without glasses or hats).The mother or father that is not presenting the documents in person must provide notarized written authorization in Spanish for the other parent. In case one of the parents is deceased, the surviving parent must present the original or certified copy of the death certificate. If one of the parents is divested of parental authority by the final sentence of a court, the parent with parental authority must present a copy of the sentence. A valid, signed US passport. The passport must have at least 6 months remaining after the completion of your stay in Venezuela and contain at least one blank visa page. Certificate of Corporate existence from both the US and Venezuelan company. The Consular Section or Consulate may require an interview with the applicant. The Consular Section or Consulate may request the applicant’s criminal record. The tourist visa will be valid for one (1) years, including multiple entries. The duration of a visit will be limited to a maximum of ninety (90) days.